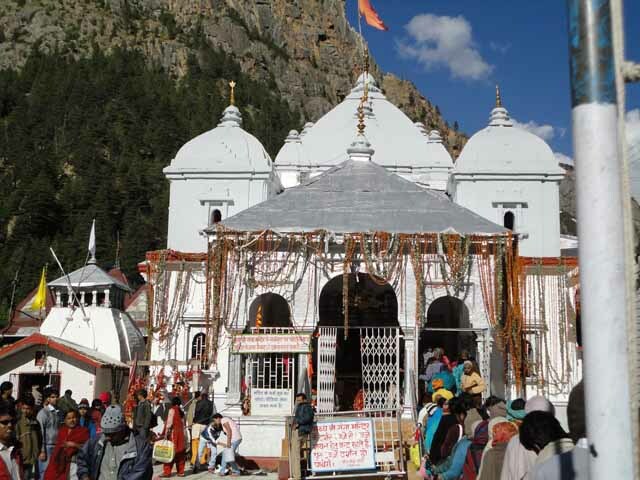 Char Dham Yatra - Gangotri - Ghumakkar - Inspiring travel experiences. When my wife first told me about her father’s wish to visit Badrinath ji (after watching the temple and scenic view in a Telgu film) my ghumakkar heart and mind started pumping ideas for another road trip. I have been to Haridwar and Rishikesh on my Vento a couple of months back, so was very confident of driving up to that. I started downloading information of various mode of visiting Badrinath ji. After initial research, I figured out that there are 4 dhams (Yamunotri, Gangotri, Kedarnath ji and Badrinath ji) out of which for Yamunotri and Kedarnath ji you have 14 km (each) of trekking involved. For other two places you have road connectivity up to the temples. After a week’s research by end of Mar. 2012, I presented this plan to my wife. We (my in-laws, wife and I) will go up to Rishikesh with our own vehicle. Then book a SUV cab for Kedarnath ji and Badrinath ji. Return back to Rishikesh. There if my in-laws want to visit the other two dhams they can continue in the same vehicle whereas we (my wife and I) will come back to Gurgaon as we both will not get more than two days leave. 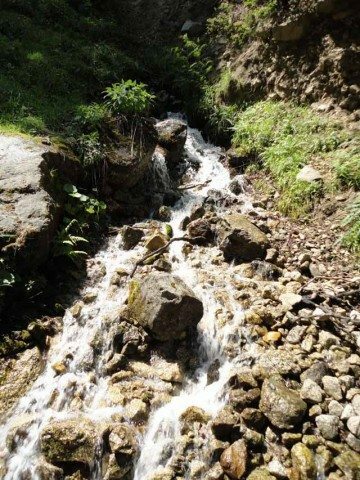 The best season to visit 4 dhams is May and June, good weather and less rain, will get better road condition and more duration to drive in sunlight. So we decided to start this trip on 9-Jun. By end of Apr. 2012, everything was planned and set. My in-laws booked their train from Hyderabad to Delhi. We both applied for leave in our offices 11th & 12th Jun. In parallel I was still downloading more and more information. And while reviewing the blogs and traveler’s posts, my driving instinct started popping up, presenting the challenge to drive up to Badrinath ji (“If other’s can, so can I”). I did drive for about 12-14 hours a day. And also drove in hills when we went to Nainital. So I presented another plan to my wife. We will start on 9-Jun to Kedarnath ji. It will take entire day to travel, from 5 am to 8 pm (as mentioned by many that driving after 8 pm is not allowed in hilly areas). On 10-Jun, we will do the trekking (planned to take mule ride), do darshan and come down. 11-Jun, we will drive up to Badrinath ji do the darshan. 12-Jun, return to Gurgaon, leaving in-laws in Rishikesh for rest of the dham yatra. After listening the plan, my wife just had one question, if I will be able to drive in those sections for such a long duration? For which I (the husband) readily said of course, though even I also had this question somewhere in my mind. Anyhow, we continue to prepare for the trip, I purchased the much needed puncture kit and long pending GPS system. My wife also did some shopping (4 new dresses for each day). The reason was simple, all other dresses are already in one or the other snaps. 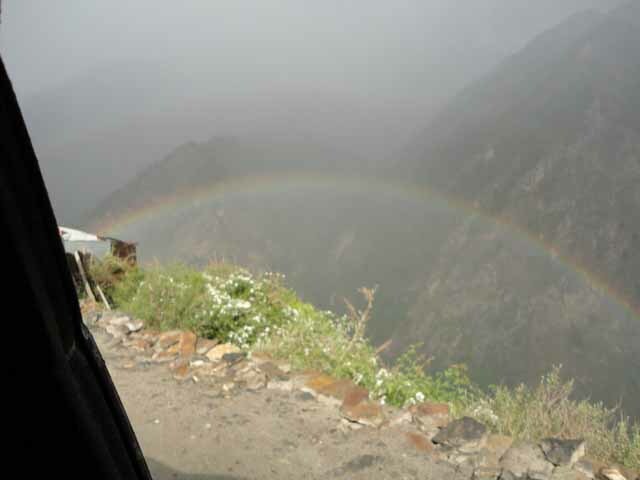 By end of May 2012, I added Gangotri also in the plan, after reading a lot about the beauty and scenic views and a few have mentioned about the good and improved road conditions. So now, I convinced my wife to take ½ day leave on Friday so that we can start on Friday afternoon 1 pm and reach at least up to Rishikesh by 8 pm. On 8-Jun, I left my office around 12:30 pm, reached home in 10 minutes, had lunch, prepared by my mother-in-law, put all the packed bags in car. We left the house around 2 pm, we need to pick my wife from her office which was in mohan estate (near badarpur border). By the time we picked her up it was already 3 pm. We then continued travelling on NH2, and by 3:30 pm we were leaving NH2 moving towards Ghaziabad. By 4 pm we were near NH58 (Hapur by pass). From there we witnessed the horrific city traffic, though this was not the first time we were witnessing this sort of traffic, but when you are travelling long distance, your mind will put more pressure to drive in a constant and good speed. Any how it has taken around 4 hours to cross modi nagar and vijay nagar. That was the first hit on my trip plan, as Rishikesh seems bit far now. But we still continued our journey, hoping for less traffic near/in Roorkee. We Reached Roorkee by 9 pm. We took our second tea break in Roorkee. There we decided to stay in Haridwar which was around 45 km from there. We reached Haridwar at 10 pm. All were bit tired, we checked in to a good clean economical hotel (Hotel Swagat Inn), had dinner and went to bed at 11 pm, with a decision to get up by 4 next morning. Tip: Avoid peak hours to cross Ghaziabad. 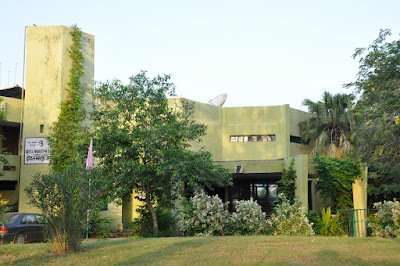 Post Vijay nagar, you will get excellent stretch to drive and regain the average. Crossing Ghaziabad, early morning is much better. You will only get lot of trucks near Delhi –UP border, sometimes blocking entire road for several minutes. As planned all mobile started buzzing at 4 am. I don’t remember who got up first but we all were ready and in the car by 6 am. 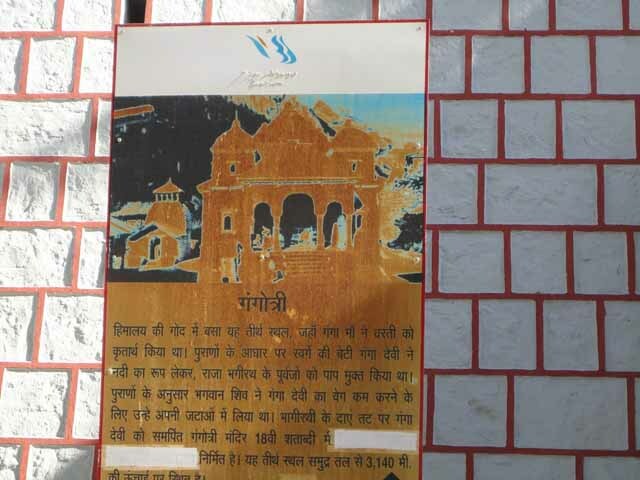 We moved towards Rishikesh to show laxman jhoola to my in-laws. 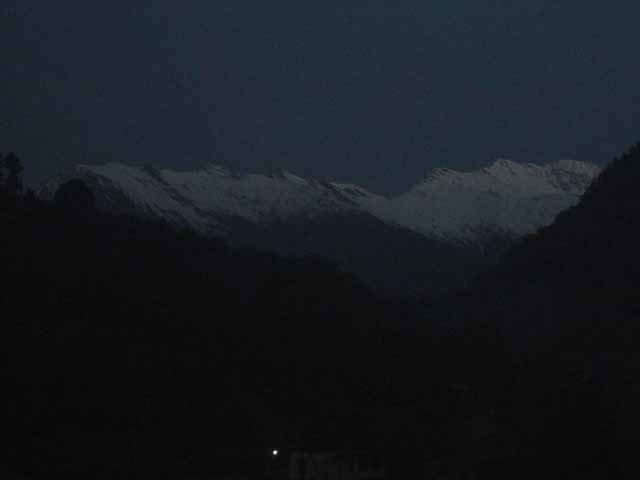 By 7 am, we were on NH-94 (Rishikesh- Tehri road), start of the great Himalayan mountains. We took our first break around 10 am near Chamba, had a good parathas and hot tea. The road so far was fantastic. My father-in-law asked me that how long I have to drive in the ghats/hills, and I can still remember his expression when I informed him that the hills will continue to be a part of our entire trip. After taking 30 minutes break, we started towards Uttarkashi. Now I could really feel the rise in altitude as curves were sharpening and coming in very short intervals. The road condition was also deteriorating and the traffic was little heavy, especially trucks. And I was not taking any risk to overtake each and every truck in a hurry. We reached in Uttarkashi around 2 pm. After getting full tank for the car, we hopped into a restaurant, opposite to petrol pump (the last one towards Gangotri). After lunch, I did walk for 10 minutes near around to give my legs a little exercise, and give an extended break to my car as well. At 3 pm, we started from Uttarkashi towards Gangotri. At around 4 pm, suddenly the weather started to change and sooner rain started, though not very heavy but good enough to slow down the traffic. We got up at around 5 am, the room boy started serving tea. You have to tell him a day before, what time you want to get up and how many cups of tea you need at what time. 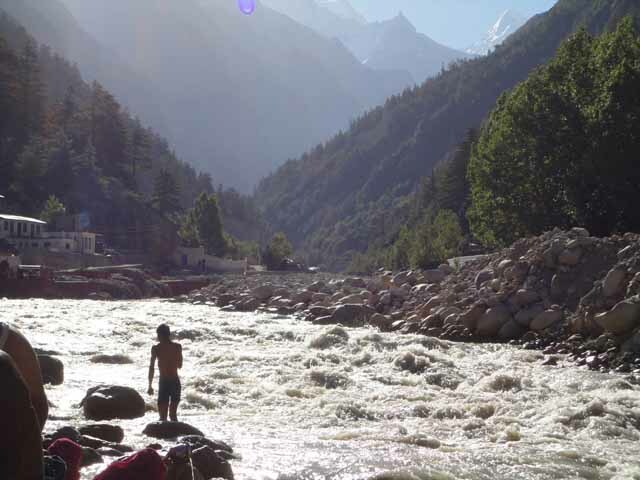 Then we ordered him for 5 buckets of hot water, earlier we all had a plan to take a holy dip in Gangotri, so no need to take bath at hotel, but the weather was so cold that no one dared to take a dip in Gangotri. Though the water was not sufficient to take proper bath, but it was sufficient to make you feel that you have taken one, and can go to temple. At 7 am, we started towards Gangotri. The freshness of entire area and good sunny day has freshened up everyone. We reached Gangotri temple by 8 am. The entire valley was nothing less than heaven. The sound of Bhagirathi and from temple bells were the only thing you could hear or feel. The water was icy cold, hats off to many who were taking bath in that. We were able to complete our darshan and pooja by 9 am. After taking some snaps we started back to uttarkashi. This time the weather was with us. We haven’t faced a single rain drop while returning to uttarkashi. Now the journey to Kedarnath and then Badrinath coming shortly. Thank you Anupam Ji. plan your trip either in second half of May or first half of June. As post that the rainy season will start on hills, so the road condition will be not good to drive. If you love cold weather then of course you can plan around end of Sept of start of Oct, you will find less traffic, cheap accommodation and quick darshan. Very nice narration. I felt as if I am watching a movie! Thank you Gaurav Ji. BTW, the overall experience was no less than a movie. 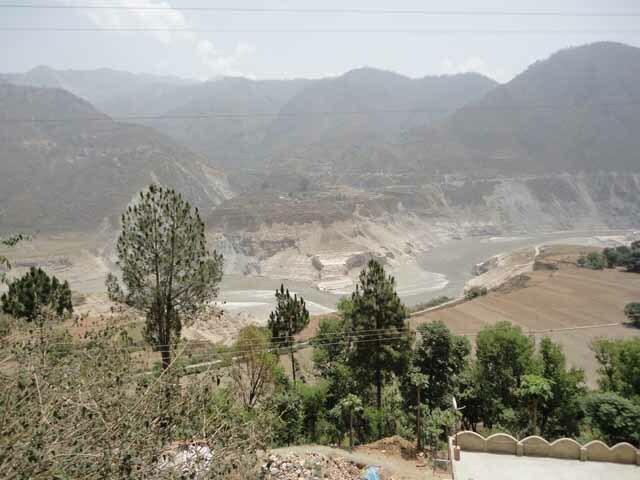 Gurgaon to Gangotri in one post :-) , I wished it could be split in two parts so that we could see some pictures and information. Gangotri is worshipped at Dharali in winters when Gangotri temple closes for during winters due to heavy snow fall. 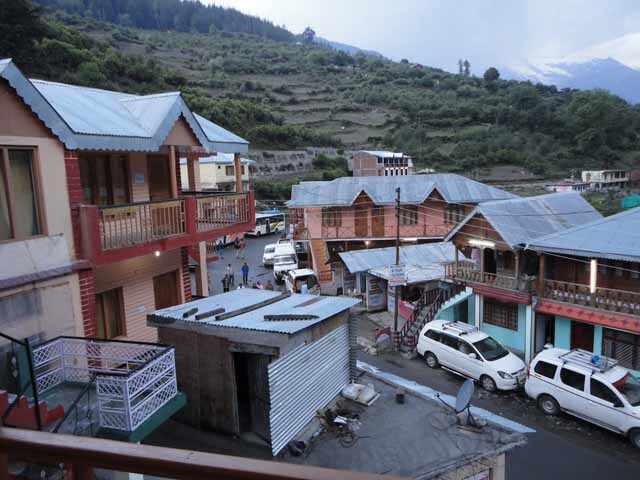 On the way to Badrinath , Harsil is one of the most beautiful town of Uttrakhand. Thank you Mahesh Ji. Point noted, will try to elaborate my next trip description. A very long drive Prakash. Early morning exit from Delhi would see you in Haridwar in 5 odd hours. Great pics. Now on to KN. Prakash welcome to Ghumakkar family… the debut post is great with engrossing prose and beautiful pictures. Hi sir, I am also planning to visit char dham yatra . . . I am from ahmedabad. . I would to know that it safe to go with my honda amaze diesel in hills or only suv cars running there. . . . .
Hi Shripal, I have been there twice with my Vento and have not had any issues with ground clearance on these stretches. Roads are quite good on Badrinath Ji stretch… you will have some (very few) bad patches while going to Gangotri or Kedarnath Ji. But can be easily managed. Hi Prakash, recently me and my family went for char dham in our Verna, i read many blogs and searched for people who drove by personal car but only after reading your blog i got the confidence to drive there by myself as except for you no one gave this detailed info about self driven experience and no one recommended it as well. Though you need quite a skill and patience to drive those road. i went to char dham for 2nd time but this time with my own car so was very excited but due to health issues of my elder daughter who is almost 5 yrs old now, we couldn’t complete kedarnathji and badrinathji so planning to go their next year. Thanks to you the readers get so much of information about every major thing they need to know. I drove from Vadodara(Gujarat). Thanks Again..Mr. Prakash. I am also God beliver, and wants to do chardham yatra by helicopter once i my life with my family. If you have any plan sheet for chardham yatra please let me know, i am planning to go chardham by end of January. kindly suggest me is it good time to visit chardham?